This is research from Weihua Xu in Beijing, whose results are published in the journal Frontiers in Ecology and the Environment this week. 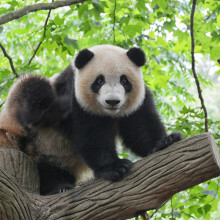 The scientists carried out a survey of the habitat of giant pandas living in the South Minshan region, next the the epicentre of the earthquake, comparing it before and after the earthquake. The researchers discovered that nearly a quarter of the panda habitat in this area had been destroyed, with much of the rest of it fragmented and damaged. This kind of damage greatly increases the chances of pandas becoming extinct in the wild, by breaking up the population, and destroying prime breeding and feeding sites. Xu thinks that up to 60 per cent of the wild giant panda population may have been affected in some way by the earthquake. And given that the entire wild panda population is only around a thousand animals, that's pretty bad. The researchers think that one good idea might be to develop specially protected 'corridors', encouraging pandas to move between the remaining patches of habitat. And because a lot of the earthquake damage happened in areas outside nature reserves, they suggest that these areas should be specially protected too. And, of course, they ask that towns and cities are rebuilt in a way that takes the pandas into consideration. Lungs with taste buds? You'd bitter believe it - Scientists have discovered that it's not just the tongue that's endowed with taste buds - cells lining the lung have them too. Writing in Science, University of Iowa researcher Alok Shah and his colleagues explain how they initially suspected that lung cells might be able to detect the presence of harmful substances within inhaled air and that this might trigger enhanced self-cleaning measures such as the production of more mucus. 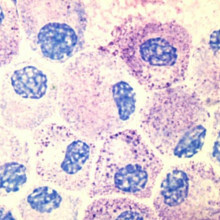 To test the theory the team used in vitro genetic techniques to study which genes were being turned on in the cells lining the airways. Remarkably they found that thin hair-like extensions called cilia, which are on the airway cells' surfaces and make beating movements to move mucus out of the lungs, are equipped with the same family of chemical receptors that enable the tongue to taste bitter flavours. 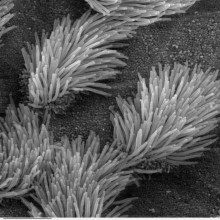 Only the cilia carry these receptors but the team found that when they are activated by adding bitter-flavoured chemicals the levels of calcium in the cilia-bearing cells shoots up. This acts as a signal that the cells then pass amongst themselves via connections between adjacent cells called gap junctions. In this way the lining of the airway is able to orchestrate a response to the presence of potential toxins, inhaled chemicals and infections. The team also point out that certain bacteria, including Pseudomonas aeruginosa which is a major problem in cystic fibrosis patients, produce chemical signalling molecules called lactones, which can also activate these receptors. At the same time the discovery might also account for some of the damaging effects of cigarette smoking. Nicotine is a characteristically bitter-tasting alkaloid and smoking frequently leads to cilia loss, which in turns hampers lung defenses. It could be that both of these effects are consequences of over-stimulation of these receptors and that perhaps blocking them can help to mitigate or reverse the damage. The next step will now be to study how this system functions in vivo to keep lungs clean and how it might be manipulated. New research published in the journal Nature Medicine today suggests that scientists working on diabetes could do with cosying up to immunologists, as the latest data suggests that the two are much more closely linked than previously thought. These are two papers published by scientists in the US. In the first study, researchers led by Guo-Ping Shi looked at two commonly-used allergy medicines, called Zaditor and cromolyn. These work by calming down mast cells, immune cells in the body that can provoke allergic reactions. But they also found that the drugs could help to reduce both obesity and type 2 diabetes in mice. The researchers discovered that fat tissue from obese and diabetic mice and humans had unusually high numbers of these mast cells, compared with fat tissue from people with a normal weight. But was the fat attracting mast cells, or were the mast cells helping to trigger excessive deposition of fat? To find out, the scientists tested the mast cell-controlling drugs on mice that were either given a healthy diet, or a fatty sugary diet. They found that the drugs helped to prevent mice from becoming obese or diabetic, even on a poor diet. But although the drugs are used to treat allergies in humans, we don't yet have evidence that they can prevent obesity or diabetes in humans. In this paper, scientists led by Markus Feuerer discovered that a type of immune cell called a regulatory T cell plays a role in liaising between the immune system and the metabolism, by keeping inflammation in fat tissue in check. They found that fat tissue from obese and diabetic mice and humans has unusually low levels of these "good" regulatory cells, but had high levels of "bad" immune cells, such as inflammatory macrophages . They found the complete opposite in fat from animals and humans with a normal weight. The results suggest that inflammation in fatty tissue may play a role in obesity and the development of types 2 diabetes. And it's also interesting because we know that being overweight or obese can increase your risk of diseases such as cancer and heart disease - two illnesses that are increasing being linked to inflammation. So this shows how it may all be connected. It's important to stress that popping a few over-the-counter allergy remedies is not going to reverse obesity and magically make you thin, but the results certainly open the door to a whole new area of research - one that the scientists have dubbed "immunometabolism". And hopefully it should lead to some more important results in years to come. Chris - Now if you glance out of the airplane window as you're surging, not across the ocean, but across land, how could you have missed those wonderful ridges and valleys you see and not fail to notice that they form very regular patterns? It's almost like the teeth of a comb. Why should that be? Is it just a freak of nature or is there actually a mechanistic reason why it's happening? Well Dr Taylor Perron, who's a researcher at MIT in America, has got a paper in the journal Nature this week, and he and his colleagues have cracked the reason it happens. Hello, Taylor. Chris - Welcome to the Naked Scientists. Tell us why do we see these amazing patterns in nature? Taylor - Well, we started wondering about this pattern for the same reason that the people you just referred to looking at the airplane window did. Whenever you see a pattern that's this regular and widespread in nature, it's got to be telling you something about the physics that are generating it. Chris - So we're talking here about the way you see a hillside, then a ridge or a river right between it then another hillside and so on. You get that beautiful repeating pattern. Taylor - That's right. It's been recognised by geologists for more than a century that there is this very even spacing among rivers or, equivalently, between the ridges that separate them. Chris - So how did you set about trying to solve this conundrum? Taylor - We first put together a theoretical model that was based on some field observations we made. So we went to a bunch of sites around the United States where we saw this pattern very well-expressed and we looked on the ground to see what was happening there, shaping the landscape. And we ended up putting together a model that combines two basic processes that are competing against one another that creates this even spacing of ridges and valleys. Chris - And what are they? Taylor - And it's a basic balance between one set of processes and chief among them is river incision that de-soils a rock; that tends to cut into landscape and create valleys. That tends to make them spaced more closely together. But competing against river incision is soil creep which is the gradual down-slope movement of soil due mainly to stirring by organisms that are burrowing in the ground. 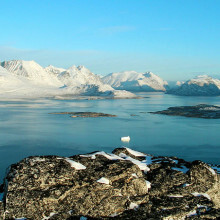 And that tends to fill in the valleys, round-off the ridge lines and make them spaced more widely apart. Chris - But why should they be so regular though, Taylor? Why not just have a few here and there? Why this beautiful regular pattern we see? Taylor - Well, there's an interesting story there too and it actually has a bit of a Darwinian flavour to it. This is one of the best parts of the study for us. This is a pattern that emerges over many thousands of years. By writing the equations to describe these erosion processes and solve them into a computer we could fast-forward the evolution of the landscape over those many thousands of years. And here's what we see happening:- when a landscape first starts to form, the initial valleys that develop are unevenly spaced. But some of them are a little bit larger than others and some of them are farther from their neighbours than others. The ones that start out bigger or spaced farther from their neighbours are able to capture more water and, therefore, erode more rapidly. And they grow faster and they pinch out their smaller neighbours. And so it's this competition for water that ultimately leads to an even spacing. Chris - So presumably, you can tweak your formula to accommodate the fact that some areas of Earth are dryer, some are wetter, some have harder rocks, some have softer rocks, and all of those things will presumably affect this erosion competition that you've got going on. Taylor - It's exactly this that we're ultimately trying to get at: how do major factors like the type of rock that the landscape is made of, like the intensity of biological activity and climatic effects like rainfall influence this wavelength? And by comparing these different sites and also using the theoretical model to explore this, we have found that there are some pretty significant effects there. For example, if you have a landscape that's eroded into harder rock the ridges and valleys will generally be spaced wider apart. We also have found that in places that are wetter where they'd get more mean annual rainfall you also have wider valley spacing. So there very definitely are some fundamental controls on this pattern. Chris - So given that you've got this very old record of erosion and you can infer and you now know because of your formula, how they form and over what sorts of rates. Does this mean that written into the landscape is quite literally a record of past climate in the form of rainfall because of the erosion pattern? Taylor - That's right. And that is one of the things that this pattern is recording. The challenge for us next is teasing out the relative importance of these different effects. So for example, we know that rainfall has this effect of making valleys spaced wider apart but we're not exactly sure of what the absolute magnitude of that effect is in a given place because it's kind of convolved with the bedrock strength and other factors. But ultimately, yes, there is a record here that we can start to interpret now. Chris - And just very briefly to finish, the last time I spoke with you, you were discovering why the coastline of an ancient ocean on Mars seemed to rise and fall by up to three kilometres in places. Does this work also inform those amazing rivers and valley type systems that we think we can see on Mars with Mars Express and the other things that are looking at the surface of Mars from space? Taylor - I think it does. One of the things that first inspired us to look into this problem was not just observations of landscapes on Earth but also images that we saw of Mars where you do see mind-bendingly irregular patterns of erosional features on the sides of impact craters all over the planet. And although the same exact processes are not at work, clearly the soil creep on Mars is not driven by biological activity but more likely by, say, the activity of ice in the ground. We think it's the same basic competition between valley cutting and valley filling processes that does it there. So one of the - part of the appeal of this is that we can now go to landscapes either on earth or another planets where all we have is remote observations and start to learn something about how the landscape is developed over many years. Chris - So it's not just aliens then. Thank you very much Taylor. Chris - Dr. Taylor Perron. He is the researcher at MIT in America. He's got a paper in this week's Nature, explaining why we see those regular patterns of ridges and valleys forming across the landscape. Can we make materials that will end up as better rubbish? John Williams takes us through the problems of the refuse life cycle. Chris - Now one way to deal with rubbish is to use the right materials in the first place. In other words, things that we can reuse or recycle much more easily. And Dr John Williams is the Polymers and Materials Manager at the National Non-Food Crops Centre where he works on understanding the whole life cycle including things like recycling and then the disposal of materials when they're no good anymore. He's with us now. Hello, John. Chris - Welcome to The Naked Scientists. So first of all, define the problem for us if you would. I mean, basically, I think what you're saying is that we are using materials which we are doing without any thought for where they're going to end up in the long run and we ought to perhaps work backwards and think of things that we could use, which we could do something sensible with again. John - Well I think, yeah, it's absolutely. The key thing here is, where do we get the carbon from? And we've been very dependent over the last 70 or 80 years on fossil carbon. Practically everything we touch or make or energy fuel material-wise comes from fossil carbon and we've been easily sort of disposing of that fairly lazily without any thought process. And I think - recently now we've started to put climate change and so forth in and then also recycling talks and so we just sometimes have to maybe take a little bit of a step back and say whilst there are obviously valuable materials within our waste feed stocks, which we can take out like simple metals and so forth that we can use without any problem. Some of the others perhaps we have to be a little bit cleverer with. For example, if you take say PET in bottles we can recycle that and closely recycle that back to itself several times before we then have other options as to how we have to deal with it. Chris - But the problem surely is that you've got to make sure that it's just bottles going into the mix so that's in itself a difficult task to do because people will throw lots of things in because they don't know what PET is versus other kinds of bottle material. John - Exactly. I mean, there's been a lot of work on trying to identify sort of waste streams and try to sort of transmit that to the public at large, and sort of do it. And it is very difficult one sometimes. Sometimes you have to actually take a bit of a leap forward and, say, well actually we're going to have to deal with that on a much more centralised fashion and segregate that downstream. But you're still going to end up with a massive material which either cannot be recycled that easily, or is energy efficient to do so or environmentally beneficial to do so. Chris - So should we just stop using those materials and do what I saw when I was at Cambridge University's 800th anniversary Garden Party last weekend, very nice. It didn't rain which was amazing. And I had a plastic or what I thought was a plastic cup but it printed on the side of the cup was the words, "This is biodegradable". It may look like plastic but it's not. John - Well exactly. That's certainly one option. And if we look at sort of non-fossil materials, we use bio-based renewable materials. We can develop not only the plastics and materials that we're currently so used to, anyway, and in fact, they're exactly the same. 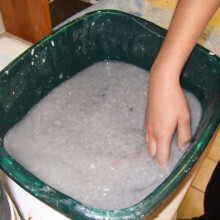 Bio-based polyethylene is exactly the same as oil-based polyethylene. But we can actually also develop some perhaps slightly cleverer materials like polylactic acid, for example. That's probably the one you saw. What we then have when it comes to a downstream option, we can compost it or we can take it through, for example, anaerobic digestion and start generating renewable energy. So it's all about resource efficiency and the best use for carbon here. That's what we really have to start looking at and concentrate on. Chris - I met a lady when I was in Australia a few years back, called Veena Sahajwalla. And she won a prize because she pointed out that people making iron, for example, from its ores have to add huge amounts of carbon in order to reduce the iron from iron oxide down to iron and make carbon dioxide in the process. And she said: "Why are we throwing all this plastic into landfill when we could throw plastic into a blast furnace?" Because to be honest, those kind of temperatures, it doesn't care whether it's charcoal, coal, or other sources of carbon to get the carbon into the furnace. So is this something we could consider here in this country where we could say, "Right. What other processes need just the source of carbon and it doesn't actually matter what we start with?" John - Well, I think that's right. The only thing you have to be slightly careful of is the source the carbon because, obviously, if it comes from a fossil-derived carbon and you're venting say, CO2 to the atmosphere for example, then you are obviously exacerbating the climate change scenario that we're trying to actually avoid. Chris - But the point is, that stuff's going to go into the atmosphere anyway, if it gets burned and doesn't turn into anything useful, or it's going to go in a landfill and rot down of a millions and millions of thousands of years probably, or going to the sea and turn into particles which will cause a problem there. So it's the lesser of all evils, isn't it? John - To a point, yeah. I think you just have to look at time scales and emission targets and so on. It's so - I mean this is what the difference these days. I think it's that we've been so used to the linear situation of free stock all the way through to the finished product, whatever that may be, to disposal without really sort of connecting to the disposal and back to say, the free-stock end. And now that's what we've really going to start doing. So we've got to start doing that, anyway. But on top of that, we've also got to start looking at the fact that we're also trying to mitigate greenhouse gases at the same time. Chris - Could we just look at the mechanics of how you would see something like this working? So, if we take the average family who goes to the supermarket, they buy a fridge-load of shopping. There will be multiple different containers made in multiple different materials. How do you see them actually being able to do their bit so that we can turn lots of that stuff back into useful things that go back on the supermarket shelves, or basically don't end up in landfills or going up as greenhouse gases? John - Well, I think we've seen a lot of work in recent years where, you know, all be it - there is still a huge amount of confusion out there in terms of what bin you put what into. But the middle ground, if you like, for what the waste guys and now looking out in terms of processing, I think it's going to be much cleverer than it was. I mean, it's no longer the case of, sort of trying to pick these things up manually. You know, this near infrared, this laser technology, this flotation technology, that pulls these - many of these materials out into usable and recognisable chains. You then have an option to something with them. The other work that, for instance, we're involved in is, for instance, if you look at food waste which is a huge problem. It's alright saying we will divert food waste away from the landfill to say, anaerobic digestion. But a lot of that food is actually wrapped in something and you're not seriously asking the public to sort of unwrap every piece of food stock they actually get their hands on and trying to dispose of that from a home-based situation. 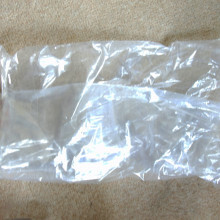 So, you know, if you say take a different view on that and say we'll use a slightly different plastic or a very different plastic, which will actually be compatible with a disposal route, you then start to get this whole circle thinking that we're actually trying to achieve. Chris - But, John, this doesn't sound like rocket science so I don't mean that in a discouraging way to you. It sounds pretty simple, pretty logical thinking. So, why is not happening? John - Well, it is. It is happening in many cases. I mean, we're involved in many projects and the government is pushing this heavily. But, of course, what you've got is you got crashing bits of legislation. You've got a little bit inertia in the system as well. You know, we still have high landfill targets in this country which we're obviously trying to bring down rapidly. It does take time to move these things along, you know. It is a complicated system and that's why sometimes I think you have to recognise that not everything can be recycled or is sensible to be recycled and that's really the waste rumour we probably need to try and get away from other things which are a little bit more obvious, shall we say, and start looking at things like gasification and pyrolysis or something like that. Chris - Which we're actually going to look at shortly later on in the programme, how we turn some of this rubbish into gases that we can then burn and therefore extract a sort of second bit of energy from them before they end up as a green house gas. But this sort of brings us back to where we started, which is that, how do we actually end up changing policies? So we say, instead of using material X to put your yoghurt in or to put your milk in, we need to use material Y because we know that we can do something better with that. How far away from actually influencing policy are we on this from? John - I think we're a lot closer than we were. If you look at where we were a few a years ago, there's really, you know - the connection's particularly the material chain. We're really a million miles away and part of the reason for that was because everybody was concentrating to a large extent on fuel and energy. When you actually then start to look at the material chain and say, well actually nearly all of that comes from fossil materials and disparity massive huge amount of material choices that are in there that perhaps don't need to be in there. That we can, perhaps, look at the chain a little bit better and familiarize it better and actually, really go back to the market and say, you know, there's an incentive to take a material down a particular route and there's a disincentive if you take the wrong material down the route. So, it takes some time but it is starting to happen. Chris - So maybe one day, you know, never know and well, someone might pay for me for what I throw away. Thank you very much. That was Dr John Williams. He's from the National Non-Food Crops Centre. Kat - Turning waste into fuel rather than just recycling it would also be an ideal way to kill two birds with one stone, reducing the rubbish we send to landfill and also cutting our reliance on fossil fuels, which as we all know, seem to be running out apace. Now, we're going to talk to Richard Kirkman. He's from Veolia Environmental Services where they're finding different ways to get power from rubbish. Hi, Richard. Kat - So, tell us about what you're doing about trying to make recovered fuel from rubbish, how does it work? Richard - Well, it's all about turning waste into the most useful resource we can. So for liquid wastes, we turn them into liquid fuels, and for solid waste, we turn them into solid fuels. What we do; we set up facilities that take in the rubbish and we extract all the recyclable components that we can and then the residual parts, which are not easily recyclable, are made into fuels which can go into cement kilns or power stations. Kat - And what sort of, what sort of waste are we talking about? Is everything equally, useful for fuel? What sort of things makes the best fuels? Richard - Well, any waste that has an energy content, a calorific value that can be used in a process to recover that energy into electricity or heat. So, municipal waste can be used, commercial waste can be used or industrial wastes, and depending on what type of waste we have as an input, we can produce different types of fuels to different specifications to meet the industrial needs. Kat - Now, what can we actually use these fuels for? We're going to be hearing in a little while from Peter Jones who's going to be talking about making a syngas liquid - making gases that we can use as fuels. But what about your solid and liquid fuels? Could we stick them in the car? Richard - They tend to be rather complex mixtures and therefore they're replacing oil, for example, in a cement kiln or a lime kiln if it's a liquid waste, or through replacing coal with a solid waste in a power station for example. So, a typical power station with the steam cycle which will recover energy, we can replace that coal with a fuel made from solid waste, such as municipal waste. 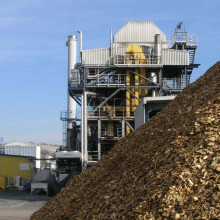 We can also have put it into industrial processes or as you said in gasification or pyrolysis processes if we produce a very specific waste stream. So, if we were to recover non-recyclable plastics that would be easily gasified into a gas that could be cleaned sufficiently to use it in a turbine to produce energy, which is a very efficient way to recover energy. Kat - Oh. It sounds like you know - it sounds fantastic. We can make all these fuel from basically rubbish, but how much energy does it actually take to make it? Because I know, for example, for recycling, you need to put quite a lot of energy into the process to get recyclable glass and plastics out. Is it really going to be energy efficient to do this? Richard - No, that's right. There is a percentage of the energy recover used in the process to make the fuel, but we know from the way the waste hierarchy has been formed, we must always go above landfill as a final option. So energy recovery, by making fuels is always going to be of net benefit. Typically, if we had a hundred thousand tons of municipal waste, we could send that to a facility where we might recover another 10% for recycling and then the residual 90% would go into a fuel. This is going to be a much energy efficient than putting it into a landfill. Kat - You can almost imagine a sort of an apocalyptic vision where people are stealing other people's rubbish to sell for fuel, right? Is this somewhere we can actually co-modify this and encourage people to maybe, separate their waste or really, you know, stop just chucking stuff out the window? Do you think this has potential? Richard - Well, there are - it does have potential and there are a lot of schemes springing out now where people are actually incentivised to recycle their rubbish, put it in a recycling bin, put it in the right container, and they receive a credit which they can then go and use in shops and to, you know, incentivise them to do it further. Kat - How scalable is the fuel generation process? I mean, could you imagine some kind of generator in each house or in a village where people just chuck their rubbish in and it comes out with petrol the other end? 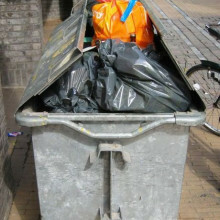 Richard - Well, if you think back many years ago, some people still called their refuse container dust bins and were called dust bins because people used to burn all their refuse at home, and they would just put the ash in the bins. This is not really a very efficient way to do it because it means the emissions are uncontrolled from that burning of waste. So, it's better to centralise the facilities then you can produce fuels that have a tight specification that can be used in industrial processes where the emissions are controlled, and we have a net environmental benefit from that. Kat - It sounds absolutely brilliant. So, when are we going to start being able to have these fuels? Are they available already, or is this something that is coming in the near future? Richard - We're moving very quickly along the road in U.K. now. I mean, around 10 years ago, we were only sort of 8 to 10% materials recycled, the rest was landfilled. Today, we're recycling around 30-40% and a large proportion of the materials also being made into fuels. If you look across Europe, there's probably about 5 million tons of solid recovered fuel produced from waste, and we're heading very quickly in that direction now. Kat - It sounds like the kind of thing that will make my dad very happy. That's Richard Kirkman and he's the head of technology at Veolia Environmental Services, explaining to us how rubbish could be used as a source of energy. Chris - This is The Naked Scientists with Chris and Kat and you've heard so far about the options in making new materials from rubbish, and even solid and liquid fuels. Well, another option is to use our waste as a base for making something called syngas, which stands for synthesis gas. This is a mixture of carbon monoxide and hydrogen, and you can use that to make things like diesel or methane or even polymers. Peter Jones is a director of Waste2Tricity and is also an advisor on the London Waste Recycling Board. He's with us now. Hello, Peter. Peter - Hello there, Chris. Chris - So tell us about syngas. Why is this 'the new kid' on the biological block that we love? Peter - Well, what we're seeing basically with the transition of these carbon molecules in our waste stream, is a movement up a hierarchy, if you like, to even more sophisticated technologies. And economically, this is underpinned by the advising landfill tax which has gone from seven pounds and it's now effectively just short of 50 pounds in just around 10 years, and it's going to go up. Chris - 50 pounds per what? Per ton? Peter - I beg your pardon, 50 pounds per ton, that's going to go up even further to between 70 and 80 pounds per ton by 2011. Chris - I presume that putting out the process like that is making technologies like the one that you're advising on here actually much more deliverable because they become much more cost effective. Peter - Absolutely. The other driver is the forward threat and possibility of either carbon taxation or carbon tradable permits, because what's happened in the last five years is that the whole waste debate is now being conflated in with the issues of renewable energy, global warming, and we're not now really looking at waste as a problem that we have to solve reactively and in a fairly sort of embarrassed sort of fashion. We've got companies out there now that see this as a genuine opportunity, as you heard from John Williams and, in fact, the race is on really for a technology to demonstrate two core issues. First of all, the lowest carbon footprint from the collection, from the producer, the disposer of the waste to its conversion into any form of energy--electricity, heat, steam, transport fuel, substitute gas. That's the first thing because in a world in 2015, 2020 where we may be paying based on carbon emissions then you need that low carbon foot print. And the second key criterion that's emerging is that in the black box; whether it's a thermal process, thermal oxidation or starved air thermal processes, whether it's biological and it's aerobic in the presence of oxygen or anaerobic, the conversion factor of the raw energy into energetic output, the so-called conversion efficiency of that technology, has to be at the absolute maximum because the really financially attractive market is this market for electricity-gas combined heat and power and so on. Chris - One of the points that Kat made in the previous interview, which was talking to Richard was, you know, is this actually environmentally beneficial? Because it's one thing to recycle all this stuff but if the lorry that comes to my house to collect my glass recycling bin actually ends up burning off more diesel than it costs to resynthesize all that glass in terms of how much green house gases has got emitted then it's great to be green. But it's not actually being green. The numbers don't add up. So, what are you doing to make sure the numbers add up with this technology? Peter - I agree. 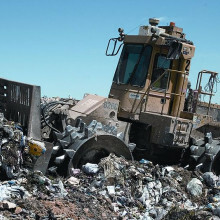 The first thing that we have to do is make sure that before we come up with solutions, and I believe the waste industry, it really hasn't been very good at this in the past. In fact it's been absolutely rubbish, is that we've got to start really looking at what's called "life cycle analysis" of the whole process. 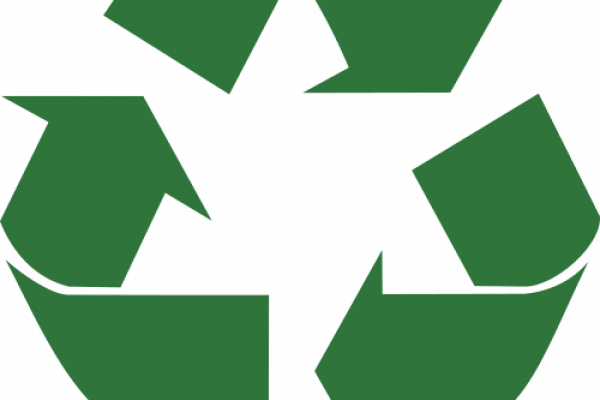 Most people think that waste management is really about these technologies, whether it's incineration, whether in the black box, so to speak, or these new innovative technologies; recycling. But it's actually about, not only the end-process it's also about the technology of the logistics of the trucks. Because different technologies need different fuel feed stocks and those different fuel feed stocks demand front-end collections systems to be different. Now, I personally am an economist and I spent my whole life in logistics and distribution, and there's currently a debate raging in the industry as to whether you collect and make it easy for disposers to mix their waste and then you take it to a separation centre, usually a mechanical engineering-type process, where, as you've heard you can use floatations, separation, infrared detection and so forth, or whether you in fact maximise the separation of the material at the front end and then you run a blending operation much like - if you like a bakery operation, so that you blend fuels according to the needs of the different technologies that emerge. And certainly what I've been saying both to the Mayor of London and the board there and also to the West Midlands who've got a software package coming out now looking at this, is that really what you have to do is look at the end market. Where are these carbon molecules that leave household commercial and industrial dustbins? Where are they going to command the maximum economic value? And again, as you've heard that's in electrical energy substitution load fuels, gas, rather than possibly selling recycled plastics when in unstable markets or selling compost as fertilizer substitutes. So, the economics of the end market drive the decision around the technology. Chris - So, can we just spend a couple of minutes and just talk a bit about the actual technologies themselves? So, we've sort of mentioned this syngas concept, the idea of getting this gas which is a mixture of carbon monoxide and hydrogen, which is produced by digesting or doing various chemical modifications to waste. But how do we arrive at that syngas end point? What are the techniques for making it? Peter - Fine, in terms of syngas specifically, syngas is mainly a mixture of hydrogen and carbon monoxide. The attraction of going to syngas is that, probably, we will have a strong operational base for hydrogen in 2020, 2025. At the moment, we don't have that infrastructure, in terms of the necessary fuel cell technology, and within that then, of course, the automotive market which represents a pretty big price. And effectively, what you're talking about here is starved air baking at high temperatures of carbon that's coming in and usually preselected. You don't want to heat up and bake waste that contains inert materials, such as metals or aggregates because those just represent lost energy and remember what I was saying about the overall thermal efficiency of the system. So, you effectively, much like the old gas plants that we had before North Sea gas arrived in the mid-late 60's in this country. Those plants bake at a lower temperature, and in those, you ended up with town gas which was a mixture of hydrogen, methane and carbon monoxide. The great thing about that in the short run, is that you can then take that to a - you can burn it in a boiler, that's the preferred route at the moment in some countries. But if you can take - if you can get the gasification to occur at a higher temperature, you knock out the tars which are a real problem by-product. Tars are long-chain molecules that effectively gum up your system. And that's why the syngases aren't put through internal combustion engines because they effectively coke up. So, if you take the reaction temperature up through a plasma-type system, a bit like the electric car furnaces for melting recovered steel within an anode and a cathode - you generate temperatures of the order of 2,000 degrees and you've got a fluidised bed and an air starved atmosphere, and you use a limestone flux together with a Coke, a carbon-base to accelerate the reaction and then the tars deposit on the limestone, basically, and convert to a glassy slag. Chris - Which is obviously what you want because it doesn't end up gumming up your engine. Peter we'll have to leave it there, but thank you very much for joining us. That's Peter Jones who's the director of Waste2Tricity, explaining how we could use rubbish to make syngas. 50:33 - Why aren't plastics biodegradeable? We put this to John Williams, Polymers and Materials Manager, at the National Non-Food Crops Centre:John - Well, I mean, traditionally, if you look at the materials we've produced from petrochemicals then the majority of plastics need to actually be durable. That's what they've been developed for - maximum functionality. And there are one or two pressure of petro-derived plastics that are biodegradable very used in speciality sort of type situations like medical applications and so on. What's happened recently, of course, is that the drive toward some aspect of biodegradabilities as a function is quite useful if you look into co-disposal of things which are also biodegradable like food waste, for example. So, the answer is you actually you - the important thing is you pick the material for its functionality in terms of what its use is going to be rather what its disposal route is going to be. But now, at the same time you say, actually if we did say, develop a biodegradable version of that, is that useful way to go or not? 51:42 - How can newspaper survive in a tip for 25 years? How can newspaper survive in a tip for 25 years? We put this to John Williams, Polymers and Materials Manager at the National Non-Food Crops Centre:John - Well, for a start, let's just say we don't obviously want these things go to landfill, for a start. I mean there are - if you look at the two systems of landfill at the moment, there are sort of dry sanitized landfills, well, actually not a lot breaks down at all, deliberately so. 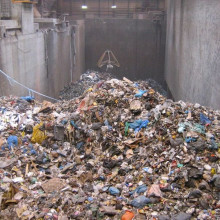 There are wetter landfills where you actually try to derive methane off which is now tapped off as an energy source. Now the old landfill, he's quite right. You can actually derive off all sorts of materials. Newspaper's actually the classic but newspaper you got to bear in mind, actually, has quite - a very, very high lignin content. It's not processed greatly in a paper making process. You've got a high lignin content there and lignin doesn't break down at all. Hence, for instance, trees and branches and so forth that don't break down very well. It's exactly the same principle;but we've moved away from that now.Chris - Can I just ask you? In the context of what we've already dumped in the ground with landfill, what are people doing about, for instance, tapping off the methane that is being produced by the breakdown of that material that's in the ground? Is that common practice and is that being used effectively?John - I think that seems increasingly common practice because, obviously, there's a route now to actually deriving an energy source and not wishing to dodge the question but I know Peter Jones actually knows an awful lot about this in terms of landfill; methane tap-off than I do.Chris - Which we ask him.John - Yeah.Chris - Peter, what do you think?Peter - Yes, the theoretical recovery rate on a landfill of around 1-2 million cubic meters should be in the order of 60% to 70 %. That's effectively a figure we arrived at by calculating what a given mass of carbon would convert to. But what you have to do is line those systems with a basal liner. You have to make sure, as you've heard from John, that you've effectively got plenty of liquid in that landfill and those bio they - it is a bio reactor that is capped. But you will always get methane. This is the bÃªte noir of landfill. You'll always get methane formation within almost hours, certainly days, of waste being deposited on a face. 54:09 - Can we produce more readily recyclable plastics? Can we produce more readily recyclable plastics? We put this question to John Williams, Polymers and Materials Manager at the National Non-Food Crops Centre:John - Well, that's the drive. There's a drive there anyway at the moment to do that. That's why you see the decline of PVC in certain applications in the market place, which is one of the usual problems. We are deriving clearer plastic streams which will be a lot purer. 54:45 - How does an artifical pacemaker know how fast to beat? How does an artificial pacemaker know how fast the heart should beat? How does an artifical pacemaker know how fast to beat? We put this to Cathy Ross, Cardiac Nurse at the British Heart Foundation. 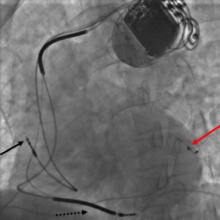 The role of an artificial pacemaker is to monitor and control the heart's natural rhythm. They're implanted for many reasons and the way they work will vary according to the reasons for which they're implanted. In the case of the slow heart rate, for example, a certain number of beats per minute will be programmed into the pacemaker according to the needs of the patient. The pacemaker would then sense through a number of wires the number of beats being delivered naturally by the heart's own pacemaker, which is called the sino-atrial node. And it will only interject to deliver another beat if there is a shortfall. So the pacemaker is there only for the reason for which it has been implanted. So if it's a slow heart rate and you go running for a bus then the pacemaker will only interject if your heart rate falls below the required minimum level. Sometimes, doctors will put a maximum level on a pacemaker. So for some abnormal heart rhythms (if the heart rate went too fast) it could cause fainting or black-outs or possibly even a life-threatening rhythm and then maybe in an overriding upper level that the pacemaker will be set at but that's quite complex. They tend to be implanted with internal defibrillators so they will be the ones that are sensing for life-threatening rhythms so that the person can receive a shock if they require it.